Hi all. Trying to get some of this rats nest, errrr I mean wiring figured out. I have the headlight working and some lights come on in the speedo. My current question is the back blinkers. I have 5 wires. The brown appears to be ground and goes to both lights. The yellow on one side and orange on the other I think are the positives. The blue and green go to the middle light. Is the middle light a brake light? Last edited by CAM2; 1 Week Ago at 11:52 AM. Thanks Cam. 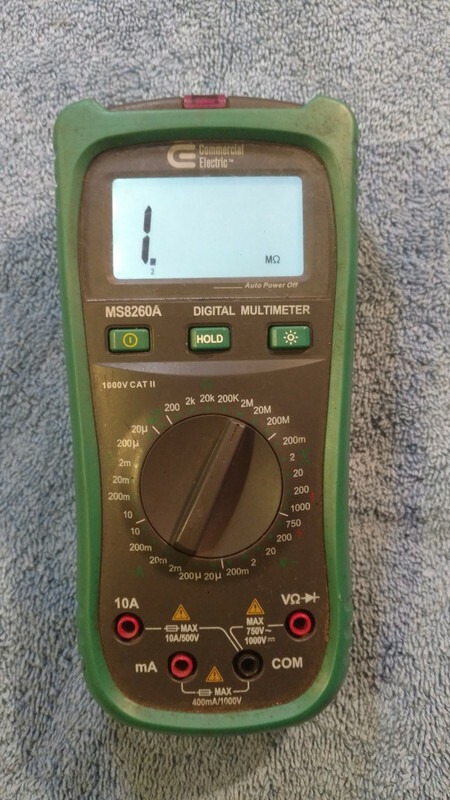 Although not great at it I did use a meter. For instance on the left blinker and using wires brown to black and yellow to blue there was no voltage. With the blinker on I get voltage. The back light has only two wires (green and blue). Do either of these get connected to the black ground? Usually the green wire is the ground...…..
Next check the black wire..It could be a ground wire aswell.. Turn on the left blinker..touch the red on each of the remaining wires til you get a reading .........That would be your left turn signal power..
Last edited by CAM2; 1 Week Ago at 11:39 AM. 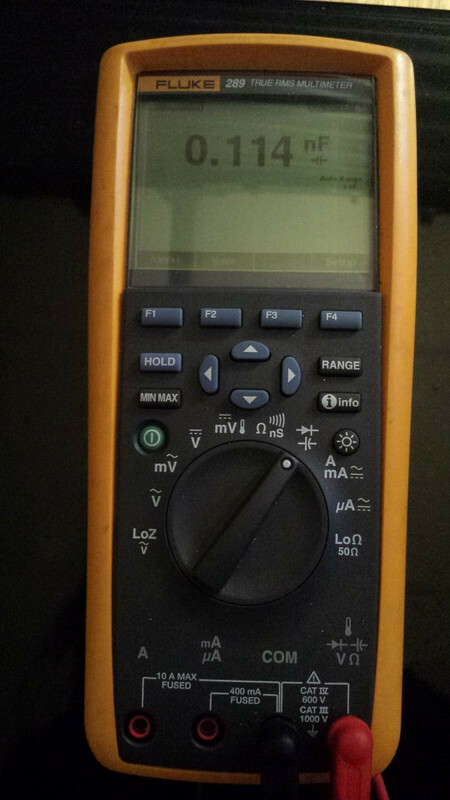 Wouldn’t the brown that comes from both blinkers be the ground and be connected to the black? Brown coming from the blinkers does logically seem to be the blinker grounds. Usually you want to separate the blinker grounds fron the running light to prevent feedback which would cause the taillight and the headlight to pulse as the blinker lights blink as after all youre dealing with a floating ground wiring system.. This is how to properly wire-in a blinkr system on a motorbike..Notice the lack of headlight and taillight...Theyre their own seperated system. Last edited by CAM2; 1 Week Ago at 12:12 PM. Laid out and fully functional with a connected battery they basically look like this in a nutshell...…..
Last edited by CAM2; 1 Week Ago at 12:33 PM. Here's what I THINK I have! Blinker bulbs work when connected directly to battery so i know they work. When wired to mini chopper wiring they will not light. Bulbs are 10W bulbs - may be the problem? Ordered new blinker relay - possibly the problem? I did get the one blinker bulb to flash at one point. Probably about 4 fuses ago!! The oranges go together to transfer the juice and the black /white wire with solid green wire are the killswitch wires...black/whire is pulse power,green is ground..
One orange comes from the fuse which is between the keyswitch and the battery into the other orange wire to transfer battery power to the starter solenoid and the rectifier..
ON position on the keyswitch connects the two solid power wires...Turning the key OFF disconnects power and enacts the killswitch….. The yellow wire coming from the rectifier box should have a terminal lug and be on one terminal of the solenoid going to the generator/starter. Last edited by CAM2; 1 Week Ago at 05:47 PM. I did wire in a new keyswitch awhile ago. I will check that and post a pic. I'm thinking somewhere down the line this points to USER error (me)! 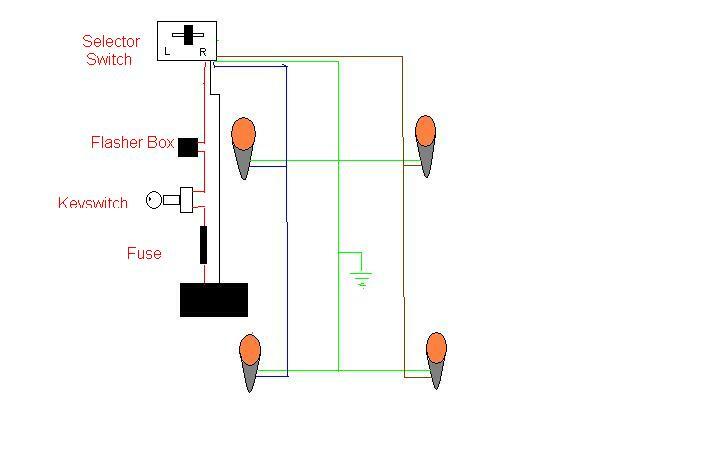 On this diagram you can splice the blinkers after the keyswitch and you can also use a 7.5 amp fuse to extra protect the 10 amp fused wiring before the keyswitch..
On this schematic you can also splice the gauges/handlebar switch into it after the fuse..Just omit the battery and splice it after the keyswitch aswell with another 7.5 amp fuse to extra protect that circuit..
Last edited by CAM2; 1 Week Ago at 06:32 PM. I think I’m close, most everything appears to work. If I’m getting only around 8v to my blinker bulbs and my blinker bulbs are 10v do I have the wrong bulbs? Try bypassing the beepie box by unhooking the beepie box and hooking both wires together then measuring voltage again...The bulbs will be solidly lit. Last edited by CAM2; 1 Week Ago at 06:46 PM. I have a new blinker relay coming in Friday. I suspect that might be at the very least part of the problem. Cam, checked your profile you have some collection there!! Thanks....Theyre a labor of loving what makes me happy being able to make them better than they was before or create something new or different..
Last edited by CAM2; 1 Week Ago at 10:02 PM. Made some progress today. Put in a new blinker relay and still couldn't get blinkers to work. 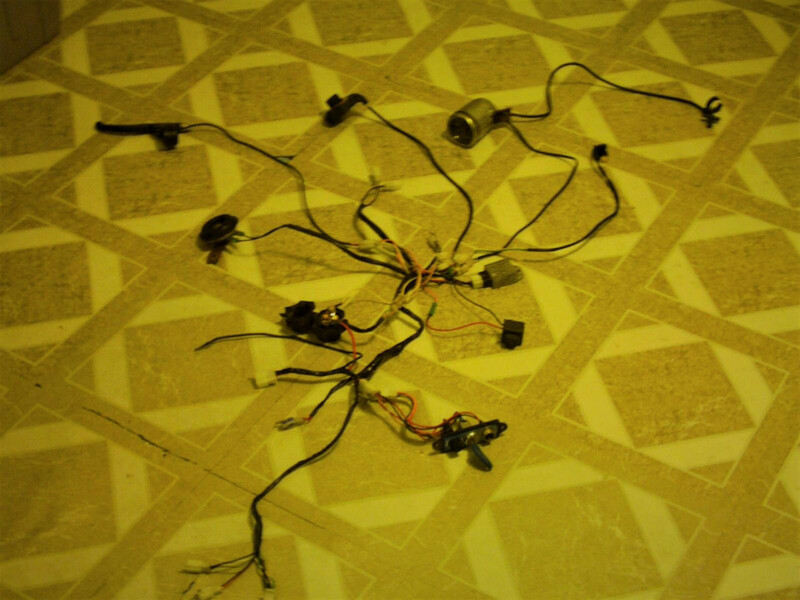 I then bypassed the wiring to the back of the bike and wired directly to the blinker bulb itself and it worked! Looks like I have some bad wiring to the back that I need to replace. My problem now is that in addition to the back blinkers I have a bulb in the middle that I am assuming is a brake light that I can't get to work. There are two wires coming from this middle light, a blue and a green. This is what I know so far. Red from the harness (along with the black) gives me 12v when the brake is applied. The Yellow from the harness seems to be 12v when the key is turned on. So basically I have two extra wires from the back lights wiring harness. A red and a yellow and two wires coming from the light, a blue and a green. After thinking about it I just realized that I would have to have a third wire (ground) going to the brake/tail light. I must be missing it or it came off. Back to the drawing board! Time to invest in some new back lights with the harness.